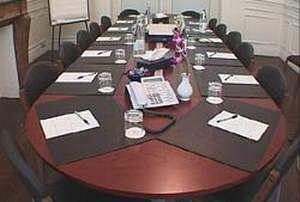 Hotel President Centre, Rue Royale 160, 1000 Brussels, Belgium. 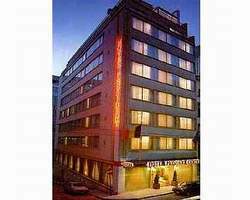 President Centre Hotel is situated in the centre of Brussels. President Centre Hotel offers a peaceful retreat in the heart of Europe's capital and offers easy and direct access to many of the famous tourist and business areas of the city. Just a short distance from the hotel visitors will find Royal Place and the stunning Saint Catherine's Square. 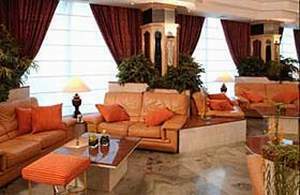 President Centre Hotel offers excellent accommodation within 73 well appointed guestrooms. Each of the guestrooms in President Centre Hotel has been carefully designed to offer facilities which would appeal to either business or leisure travellers. Room types in President Centre Hotel include 14 executive rooms, 34 standard classical styled rooms and 1 president Suite ideally suited to business or long stay guests. Each of the guestrooms boasts rich fabrics and warm colours creating a relaxed, welcoming atmosphere in guestrooms at President Centre Hotel. 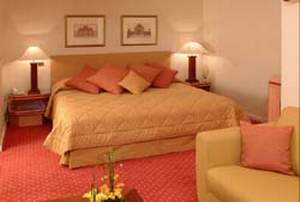 Non smoking rooms are available in President Centre Hotel, Brussels. Please contact the hotel directly for details. President Centre Hotel offers an excellent hearty breakfast buffet service to all patrons of this charming Brussels hotel. This superb buffet provides guests with an ideal start to a hectic day of meetings or sight seeing. President Centre Hotel does not have an on-site restaurant but thanks to thegreat location of this luxurious Brussels hotel guests have easy access to a variety of excellent restaurants and bistros located in the area surrounding President Centre Hotel. 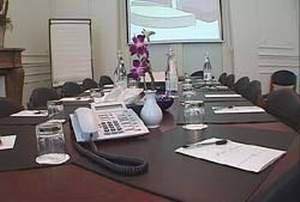 President Centre Hotel offers a unique conferencing experience when guest hosts events within their period style function room. This elegant room has a capacity for 6 to 25 people making President Centre Hotel an ideal choice for all your business needs. A selection of conferencing equipment and state of the art facilities are available on request from front desk in President Centre Hotel. President Centre Hotel has a selection of day and over night packages available. Please contact the hotel directly for details.